340-693-8000 | Check in: 4 p.m. | Check out: 10 a.m. Phone: 340-693-8000 | Check in: 4 p.m. | Check out: 10 a.m.
We are delighted to welcome Owners and Guests back to the beautiful paradise on St. John after our extended closure to recover from the 2017 hurricane activity. Prior to your arrival, we wanted to make you aware of some changes to the resort. While the resort welcomed its first guests in early January, there will be ongoing recovery through the end of May 2019. Until then, Guests can anticipate seeing containers, some heavy equipment and workers throughout the resort. Thank you for your patience while we put the final touches on the resort. 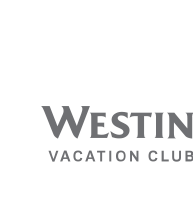 You may choose to check in at the Westin® reception lounge at the airport on St. Thomas, and if you have registered for the Westin Ferry, the staff will accept your bags and transport them directly to the resort. The resort check-in facilities are located on the first floor of the administrative building (formerly where the gift shop was located) and the Marina Front Desk, located dockside. See the Check-In section for additional information. The former reception building area is being converted to open-air sun terrace with Wi-Fi and equipped with umbrellas, tables and chairs for guests to enjoy. The tennis courts will not reopen until April 30, 2019, with two of the tennis courts being converted to a multi-use court. The resort’s Main Pool and lower Iguana Pool are open; however, the upper Iguana Pool will reopen when buildings 33 and 34 reopen for occupancy in May. All watersports amenities are available, with complimentary nonmotorized watersport activities (fees apply for snorkeling equipment). Spa services are available in our spa rooms, your villa, the beachside gazebo, or the poolside cabanas. The WestinWORKOUT® Fitness Studio is open with cardio equipment and weight equipment. Both taxi and car rental services are available on St. John and at the resort. If you plan to rent a car, we recommend that you do so on St. John as the car barges running between St. Thomas and St. John are fewer and smaller than prior to the storm. See the Transportation section for additional information. Snorkels now offers three meals daily and is the only operational restaurant on property. Snorkels is now serving breakfast from 7a.m.–9:30 a.m., lunch from 11:30 a.m.–4 p.m. and dinner from 5 p.m.–9 p.m. Mango Deli has reopened in its original location and offers breakfast sandwiches, light fare and other sundries. Villa prestock service will be available later in the winter from Mango Deli. There are many restaurants in nearby Cruz Bay, or if you prefer to prepare your meals in the privacy of your villa, the local markets are fully stocked. While the island is ready for guests, there are still some services that are not fully recovered, including health services. Currently, the on-island medical clinic is closed and the hospital on St. Thomas operates in a very limited capacity. If you are planning to visit the resort and have concerns about medical issues, we recommend that you subscribe to an air ambulance evacuation plan. Contact Owner Services for the names of independent vendors who offer the air ambulance evacuation plans from the U.S. Virgin Islands (USVI). Please note that all outlets for food and beverage purchases and resort activities operate cashless. See Currency and Check Cashing Policy for additional information. The USVI government assesses a US$25 per-night, per villa Environmental/Infrastructure Impact Fee to vacation ownership Guests, as implemented in 2016. This fee is based on the villa being occupied and will be added to the Guest folio at check-out. 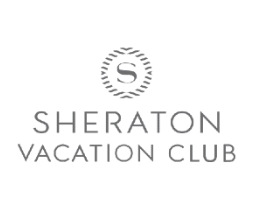 Questions about the accessible facilities and services offered should be directed to the resort at 340-693-8000.